Update 7/20/2017 – Updated theory with new facts/videos and revised motor recommendations list. Update 9/3/2016 – Added new motors and removed some obsolete ones. Our quadcopters use brushless outrunner DC motors to drive our props. 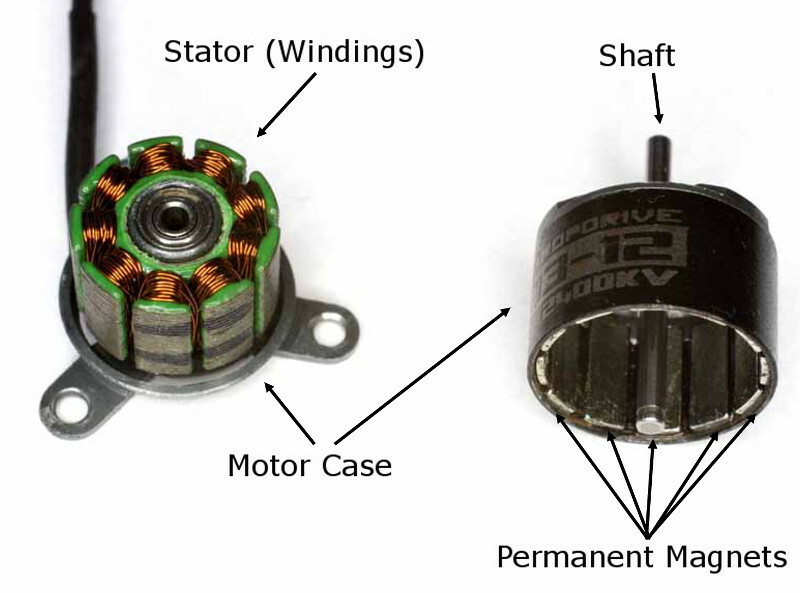 Brushless motors are specialized types of DC motors that have no major wear components. They come in two types: outrunners and inrunners. These two differ by where the magnets are located: in an outrunner, the magnets are located in the “out”er casing. In an inrunner, the magnets are located “in”side the core of the motor. Inrunner motors are generally used in high-RPM applications like model jets or high speed planes. With higher RPM operation, you get less torque at lower speeds. Outrunner motors, on the other hand, generally spin at lower RPM but generate more torque at those slower speeds. This is more appropriate for direct-drive propeller driven aircraft like our quadcopters. The stators – The stators are three “circuits” of extremely long, thin wires that are wound in a circular pattern around the inner core of the motor (on an outrunner). This wire is coated in an enamel that protects it from shorting to itself as it is wound in circles over and over again. As you may (or may not) remember from your high school physics class, current flowing through a wire produces a magnetic field. When that wire is circled around itself, the magnetic field is intensified. The more current, the more magnetic field strength, and the more torque from your motor. However, more current also produces more heat, particularly in smaller wires. The enamel coating on the wire can melt under high temperatures, causing a short and a “burned” motor. Therefore, as you desire higher power, you will want to start looking for motors with windings that have thicker wires – able to carry more electrical current while producing less heat. All told, the way in which the stator is built is the principle factor in determining the performance of your motor. 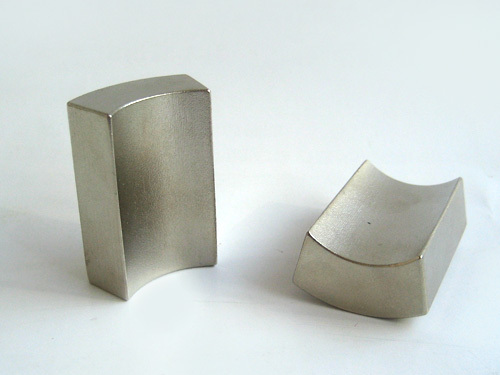 Permanent magnets – The permanent magnets generate a fixed magnetic field generated by a set of rare earth magnets. Rare earth magnets are similar to the horseshoe magnets you undoubtedly played with as a kid, only they are much stronger. In outrunner motors, they are glued to the outside of the motor case with epoxy. The casing of the motor protects the magnets and windings. It is generally made out of a lightweight metal like aluminum. More advanced motors have cases that are designed like miniature fans to flow air over the motor windings as the motor spins, cooling them off and allowing them to create more power. The shaft of the motor is attached to the spinning part outer part of the case in an outrunner. It is the working component of the motor that transfers the torque generated by the motor to the propeller. So how does the motor actually work? I won’t go too far into it here, but the basics explanation is that the permanent magnets and the windings together create the motive force of the motor using magnetic fields. This is accomplished by switching current which wires in the stators carry the electrical current at any given time, aiming to create a continuous situation where the magnetic fields inside of the motors are slightly out of alignment. Like your horseshoe magnet, these fields fight with great force to align themselves properly, generating torque and causing the motor to turn as a result. The ESC is the complicated computer that senses the rotational movement and controls the flow of electrical current to generate the desired magnetic fields. Now that you know the basics of how the motors work, lets talk about how you should decide which ones to buy! The first thing you should pick is the motor size you will be using. Fortunately, most manufacturers in our hobby have settled on a standard naming scheme for their motors. It will normally be a 4-digit number that looks something like “2205”. The first two digits of this number is the diameter (in mm) of the stator, and the second two numbers is it’s height (also in mm). In general, the bigger either of these numbers are, the more power the motor can handle and the more torque it will generate. However, the tradeoff is that bigger numbers here means a heavier motor – mostly by virtue that it is simply “bigger”. The EFAW 2407 motors are quite large but can generate an insane amount of thrust due to the thick windings stuffed inside their bulk. 1806 – These are generally used in miniquads that swing 3″ or 4″ propellers. 2204 – For a long time, the most popular motors used with 5″ propellers. 2204’s started falling out of popularity in 2015 and are rarely seen nowadays. 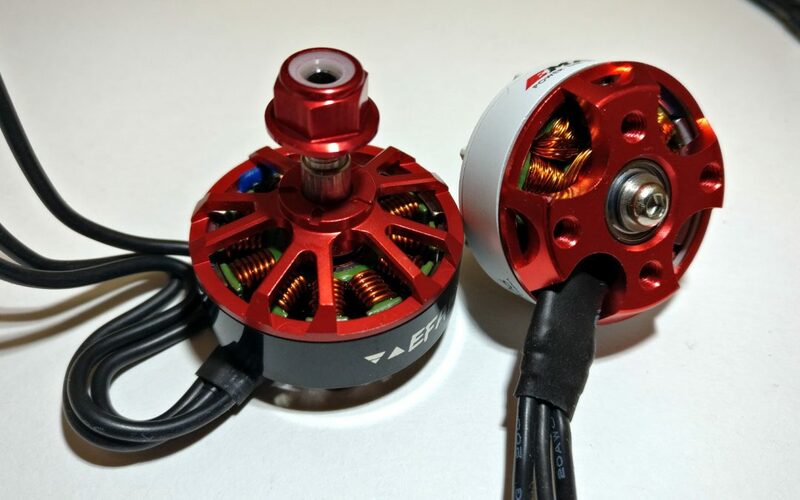 2205 – This is probably the smallest motor size you will want to use with 5″ tri-blade props and is the most popular motor size currently on the market. 2206 – In the ever-raging “thrust wars”, manufacturers are trying every trick in the book to build on thrust. Since N52 arc magnets (see below) have become the norm, the only real way to do this is to increase motor size. As a result, many manufacturers have moved to 2206 motors for a roughly 15% increase in thrust. 2207 / 2407 – Per above, some manufacturers not satisfied with the thrust from 2206 motors have kicked it up even more to 2207 and 2407 motors. These motor sizes are rarer but can generate thrust figures more than 50% higher than what you would normally see with 2205 motors. 4″ propellers are generally run on 2600kV and more motors. 5″ propellers are generally run on 2300-2600kV motors. 6″ propellers are generally run on 2300kV and less motors. Note these are not hard set rules, just general guidelines. If you follow them, you will probably have a pretty nice flying miniquad. We recommend beginners start with a 5″ miniquad and a 2300kV motor. Once you have your first build done, you can experiment a little bit. For instance, James really likes 2600kV motors for his 5″ builds. One thing to keep in mind with motors is that you need at least four of them for your miniquad. This means every gram you can save on your motor gets multiplied by four. However, as mentioned above – heavier motors generally produce more power and easily offset their own weight as a result. As with weight, price is four times more important when buying motors. You can expect to spend between $10 and $25 apeice for your motors. The shaft on the Cobra motors is the perfect size and length. If you can’t get exact measurements from the manufacturer, just compare the motor you are looking at to this picture. The length and size of your motor shaft is actually an important consideration that is often ignored. Ideally, you will want to buy a motor that has a 5mm shaft, because 5mm is the most common hole diameter for all miniquad props. If you have to get a motor with a smaller shaft, you will need to fit your props with a shaft size adapter. Likewise, a larger shaft will require you to drill out a larger hole on the prop. You also want to make sure your shaft is long enough to accommodate your prop as well as a locknut. If the motor you are looking at offers shaft length, I would look for something at least 13mm long. Shorter will work, but Vesp can tell you that if you get too short you’ll need to really torque your nuts to keep them tight during flight, resulting in stripped threads. When most people look into upgrading their motors, they are looking at upgrading the total thrust of their quadcopter. It pays to know how motors can generate additional thrust to help you figure out which motors are the “best” for you. First off — thrust is generated by the propeller. Motors are solely responsible for generating the power required to spin the propeller. Generally speaking, a motor that is capable of producing more power without “burning up” will also generate more thrust – whether by creating more torque to spin the propeller faster or by being able to accept a more aggressive propeller. Check out our propeller buyers guide to dig into the nitty-gritty details on how thrust is generated. As stated above, thrust is generally proportional to power. If you can get a motor to accept more power from your battery, you will get more power. When selecting motors, there are a few ways to increase the amount of power a motor will accept. One way is by buying a motor with a higher RPM Constant, which is equivalent to shortening all the windings which decreases their electrical resistance and increases how much current can flow through them as a result. There are diminishing returns here, though. As the windings get shorter they will generate less magnetic force (or torque) as well as more heat. These factors play into the motors ability to convert electrical power to torque, or efficiency. You can only go so high on kV before you sacrifice all that extra power you are pouring into your motor to poor efficiency. The best way to improve the amount of power a motor can handle without affecting its efficiency is by adding more windings or increasing the amount of copper in the windings. Once again, you are reducing the electrical resistance of the windings and thereby allowing more current (and more power) to flow. The problem is that more copper means more weight. Also, most motors are already stuffed full of windings and the only way to add more is to either compromise the structure of the stator or to increase the size of the motor. In general, manufacturers choose the latter (thankfully!). This is why larger motors can create more thrust. Arc magnets can reduce the airgap between the stator and the magnet, increasing performance. Other factors can have a substantial effect on power as well. The type of permanent magnet used can increase power by providing a stronger magnetic field for the windings to work against. This very concept was used in 2016 when motor manufacturers began using “N52” magnets. Changing to these permanent magnets resulted in an instantaneous power boost of 25% between motors that were otherwise the same! Another factor affecting power is the physical gap between the permanent magnets glued to the bell and the stator. Magnetic force degrades in a non-linear fashion. This means that small reductions in the space between the source of two magnetic fields can have a surprising effect on how much force they can assert on each other. This is the concept behind what is called the “air gap” of the motor. Manufacturers made a huge leap in improving this by moving to permanent magnets which are “arc” shaped, allowing the stator and magnet to stay closer than 1mm at all times. 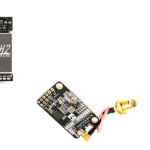 Selecting the right prop for your motor and quadcopter can have a huge affect on how much power that motor produces while moving through the air. This is a rather extensive topic that we cover in our propeller buyers guide – check it out! Do you need top of the line power? Like most hobbies, I think sometimes we all tend to get a little too caught up in the numbers game. We’ll drop $100 in a heartbeat for a 20% boost in power, or more looptime, etc etc. The thing is, I genuinely believe we hit a “miniquad nirvana” of sorts a little over a year ago when the EMax RS2205 “red bottom” motors came out, hitting a whopping 1kg of thrust per motor on 4S batteries. Since then, we’ve seen those thrust numbers skyrocket ever higher, but I’m not convinced the increased numbers make that much of a difference. I have tried the latest and greatest motors, and their climb rate is jaw-dropping. But realistically, whether flying acro or on the track, hotter motors often come down to simply using less throttle lest you burn out your batteries. If you are a beginner (or even an intermediate) pilot in the hobby, I highly recommend picking up a “midrange” motor for less price. 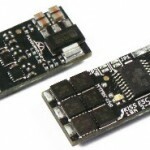 Spend your money elsewhere – a good, name-brand FC, ESCs or VTX, for instance. You’ll definitely get more bang for your buck. I won’t do any bench tests on motors in this article. The reason is that others in the community, particular QuadMcFly’s miniquadtestbench site have already done such a good job at this that I would not be able to add anything of value. That being said, I do want to provide a list of known good motor manufacturers that will get you started. The prices listed here are per motor. 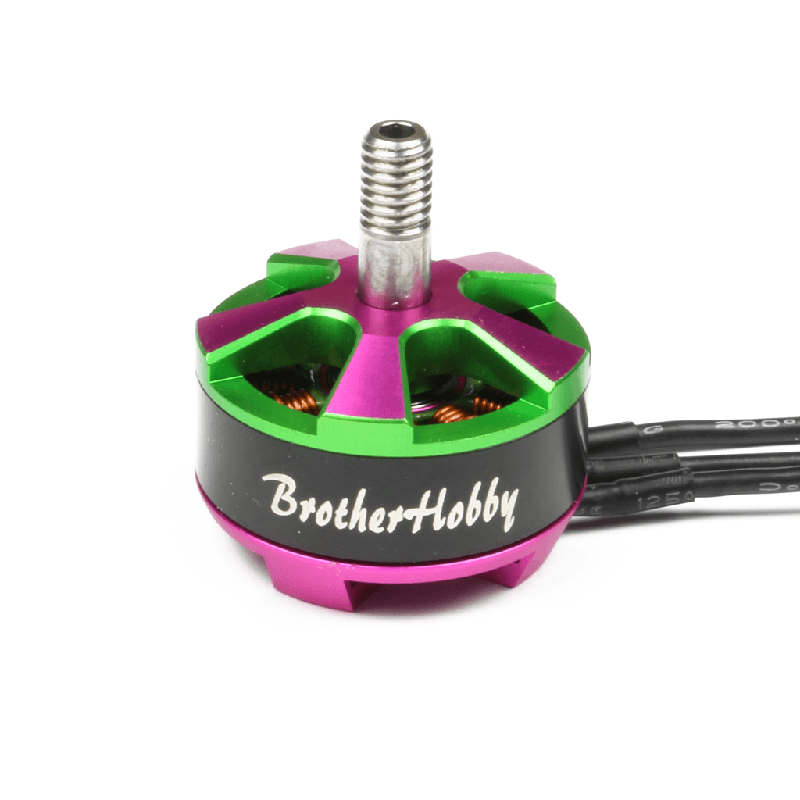 The BrotherHobby Returner R4 motors offer top notch performance and a cool color scheme to boot. Brother Hobby has been putting out some stellar motors for a couple of years now, starting with the Tornado series and continuing with the “Returner” series. The Returner R4 maximizes power for a high-end price while the R2 is a great mid-range motor coming in at $15 and a little less weight. 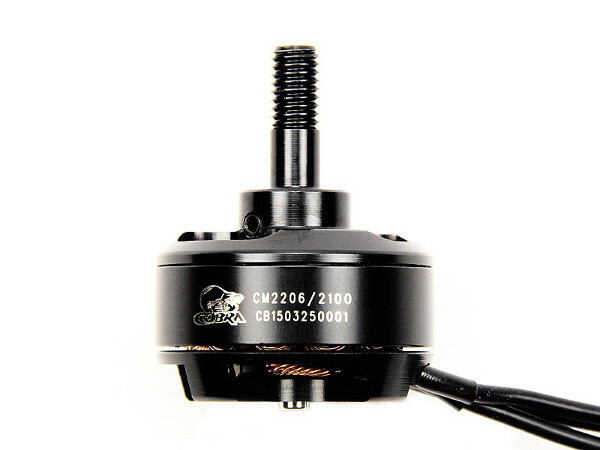 Once upon a time, Cobra produced the gold standard for miniquad motors until EMax came out of left field with the amazing RS2205 “red bottom” motors. 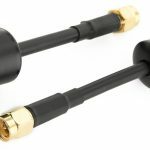 Cobra went out of style when matched up with the newer N52 arcmagnet equipped line of motors but has since come back with the “Champion” line. One thing we like about Cobra motors is that they have long been known for great customer service. The EFAW 2407 seems to be taking the miniquad world by storm lately. These motors have an extreme tolerance for high power, and we expect to be seeing more motors from other manufacturers that copy their style in the near future. We did a review article on the EFAW 2407 which you may find interesting. The EMax 2306 motors might produce the most thrust of any miniquad motor on the market at the time of this writing. Be careful with the throttle, though – they’ll hurt your batteries. The RS2205 motors by EMax were one of the first to market with the N52 magnets, and sparked a revolution in miniquad motor design. Since then, EMax has remained competitive in the motor market with repetitive enhancements to their designs. The RS2205S motor is a fantastic motor for beginners and experts alike, despite being nearly a year old. Their new line, the RS2306, produces absurd levels of power at the cost of melting your batteries in the process. 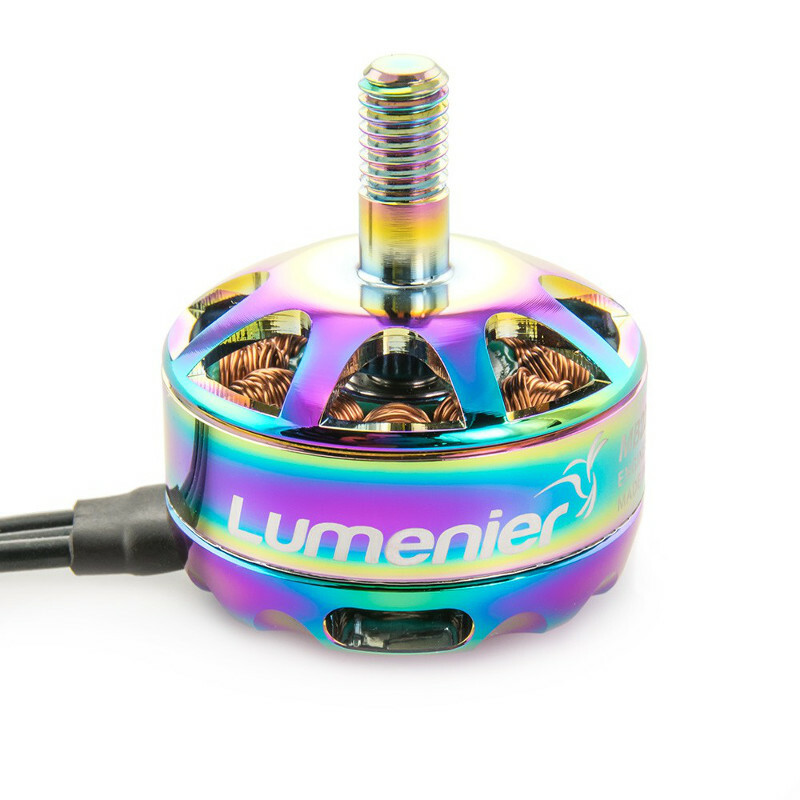 Lumenier has a huge following in the professional racing market, as is displayed by their racing pilot-branded motors. We personally have not tried them, but have heard great reviews from sources we trust. We like the “style” of the motors and they seem to produce good power figures. 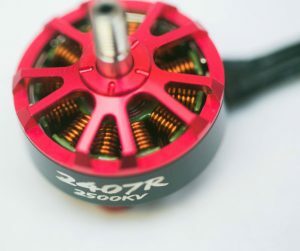 Some pilots claim they are the “smoothest” motors on the market. We find them pretty pricey to really consider. Racerstar is known for it’s good quality discount-price electronics. The motors don’t disappoint in this regard. They don’t produce top-notch power figures and are known to have shaft bending issues, but cost half of comparable motors. If you’re going for a budget build, this is the motor for you. The Lumenier MB2206 has a radical color design with great performance to boot. Watch out for that price though! So you want some good quality motors with a decent reputation but don’t want to break the bank? RCX has long been the vendor you should be looking at. 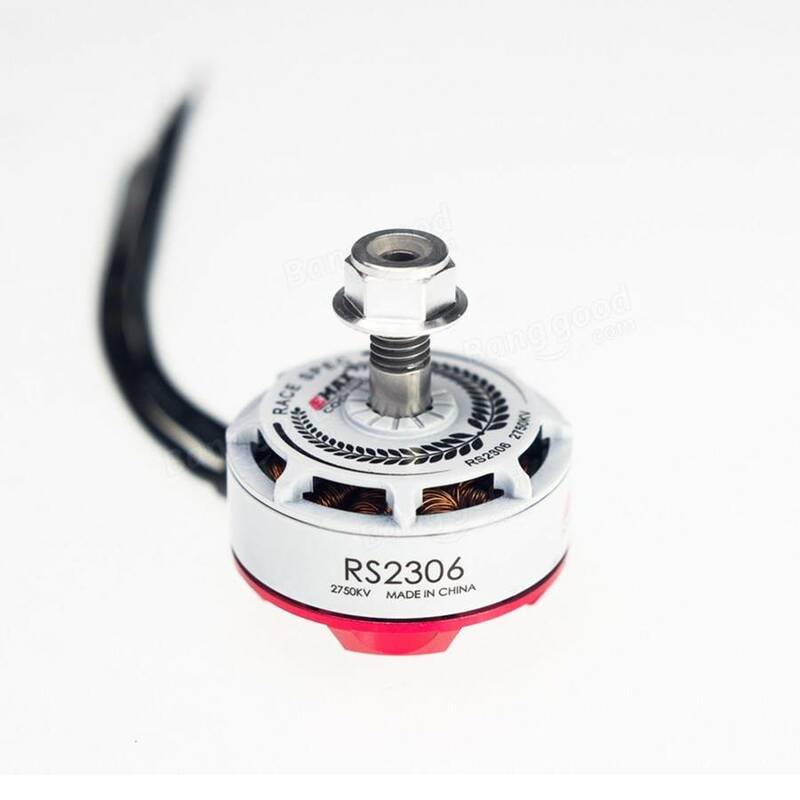 Their RS2206 motors have great quality control, great performance, and come in cheaper than almost every other competitor. The only problem is they are only sold by a single shop out of China. Tiger RC has been in the hobby for decades. Their motor division produces some high quality products, albeit at a relatively high price. Check out their F40 and F60 motors for some insane power figures. Keep in mind that these motors are generally a bit heavier than your average 2205/2206 though. We’ve been huge fans of ZMX for awhile because they produce some of the best motors on the market for 20-30% less price than their competitors. 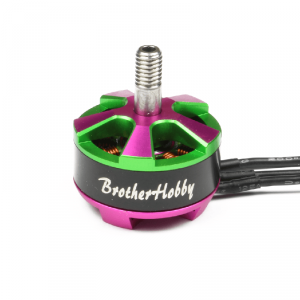 For instance, we believe the X25 is comparable with the popular BrotherHobby Returner R4 for $5 less per motor. We highly recommend their entry-level motor, the Fusion X20, if you don’t mind splitting up your quadcopter order. Fantastic forum dedicated to motors, ESCs, and batteries for motors. This serves as a great jumping off point for learning more about the motors you are choosing. QuadMcFly has done some fantastic bench testing of many of the hobbies most popular motors on this website. He breaks each motor down by its performance with different types of props. I’m eagerly awaiting a compilation article comparing each motor to the others. Like this buyer’s guide? Check out some of other ones!